What is the proper role for religion in American public schools? That’s the question historian Ben Justice asked us yesterday at the American Educational Research Association meeting. I’m still stumped. I can’t see an easy way to reconcile the fundamental tension between two contrasting goals. SAGLRROILYBYGTH may remember the first episode. If you don’t, here’s the catch-up: Historian Ben Justice put together a panel to wrestle with the proper role of religion in public education. Religious studies scholars Stephanie Mitchem and Mark Chancey joined in, as did philosophers Colin MacLeod and Harvey Siegel. And me. Our panel agreed—public schools need to teach about religion without teaching religion. And public schools need to be inclusive religious spaces. That is, public schools need to welcome people of every faith and none, but they can’t themselves promote or denigrate any specific religion. Sounds simple enough. In other words, people don’t have to agree with various school policies. If they see them as fair, however, as legitimate, then they will go along with them. And that brings us to our dilemma. For some religious people, the notion of “inclusive” public schools is not a way to talk about the proper role of religion in the public square. Rather, for many Americans, “inclusivity” is itself a religious idea. So instead of having conversations about how we can all be welcomed in our public schools, we end up with a fight between two religions, only one of which admits to being a religion. But it seems a little clearer when we look at examples. We see it everywhere we look. Consider a class in the history of religion, for example. In an inclusive school, a teacher might teach kids about the development of Hinduism, Buddhism, Judaism, Christianity, and Islam. She might explain to kids—trying to be neutral, trying not to favor any religion or non-religion over another—about the ways different people at different times believed different things about God and humanity. She might describe the ways Christianity grew out of Judaism, the way different Christians came to disagree with one another. Her goal, she would probably tell you, is not religious. She doesn’t want to preach; she only wants to teach. For some parents, students, and activists, though, such a curriculum is not neutral at all. They might reasonably want their children to share their belief that their religion is true. For many religious people, the universal claims of their religion are absolutely central. That is, many religious people need to understand their faith as True with a capital T, not only true for them at their specific historical moment. For religious people like that, a school curriculum that thinks of itself as neutral is not neutral at all. It is teaching, instead, the intensely religious idea that religion is a human invention rather than a divine revelation. This is more than just an abstract game of what ifs. As SAGLRROILYBYGTH know well, in the last hundred years American Protestants split on exactly this sort of disagreement. Liberal Protestants often embraced the notion that their religion was a human creation, or, to be more precise, that their own understanding of religion was a human thing. Conservative Protestants, including those that mobilized as “fundamentalists,” disagreed. Vehemently. For evangelical Protestants, the notion of an inclusive public square has always been the enemy. It has always been the rallying cry of their religious enemies. 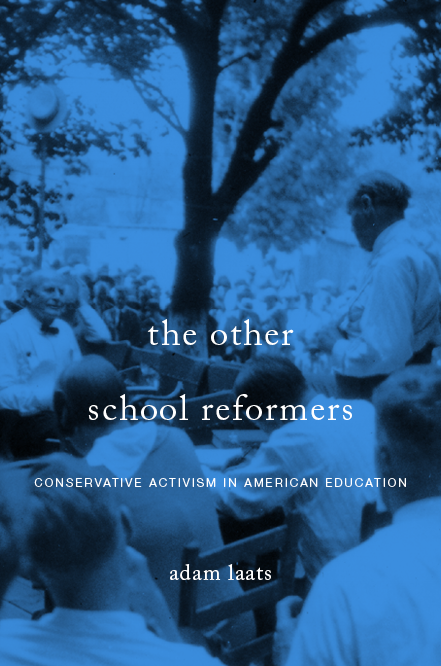 As I’ve argued in my 1920s book and my book about educational conservatism, religious conservatives—especially but not only conservative evangelicals—have learned for generations that the fight against “inclusion” was a religious fight against a religious enemy. So how can we get people to think of “inclusion” as a legitimate goal? It will never be seen as legitimate if it is seen as a strategy by a competing religion. What then? With apologies to Yogi Berra, I’ll steal his line in this case. I’m heading down to the annual meeting of the American Educational Research Association in San Antonio. It’s the big one for education wonks and nerds. And it’s a zoo. Like Yogi said, no one goes there anymore, it’s too crowded. Pardon me, sir, you’re stepping on my PhD. Why would anyone brave such crowds, heat, and academic foolery? In my case, I’m going because we’ll have a chance to wrestle with the most interesting question in the world: What is the proper relationship between religion and public education in the United States? A panel of experts was put together by one of my all-time favorite ed historians, Ben Justice. He and his co-author Colin MacLeod just published a terrific book about religion and school. They invited me and my recent co-author Harvey Siegel. We rounded up a few more experts, including Stephanie Mitchem and Mark Chancey. And you got your church all over my school…or did you get your school all over my church? Is it fair to creationists to force their children to learn an idea that they find religiously objectionable? Do conservative evangelical Protestants have any special rights in public schools? If everyone in a town is the same (evangelical Protestant) religion, is it okay for the schools in town to lean that way, too? Are public schools really hostile to religious belief? Conservatives often howl that schools are cesspools of “secular humanism,” but are they really? Each of us only gets a few minutes to say some things, then we’ll open up the room to a wider discussion. I’ll have a hard time keeping my opening presentation short, but I’ll try. Watch this space—I’ll be sure to fill you in on how it all goes down. If you haven’t bothered reading the book, since you knew the movie would be coming out soon, your plan paid off. Hollywood Christian power couple Roma Downey (“Touched by an Angel”) and Mark Burnett (“The Voice,” “Survivor”) have produced a ten-hour Bible series for the History Channel. Their massive movie project is not the sum total of their Bible ambition. As they wrote recently in the Wall Street Journal, they also want to see more Bible in public schools. In Burnett’s and Downey’s WSJ op-ed, they argue that cultural literacy demands a thorough knowledge of the Bible. This is not a religious mandate, they insist, only an educational one. Young people won’t understand basic cultural references without reading the Bible. Their argument raises some perennial questions about the teaching of the Bible in public schools. As they correctly note, the Supreme Court in 1963 explicitly stated that the Bible could and should be used in public schools. It must not be read devotionally, Justice Tom Clark wrote, but it should be used to teach students about culture. However, as we have seen recently, such Bible courses in Texas have often lapsed into evangelical exercises. Professor Mark Chancey of Southern Methodist University found plenty of devotional training packed into public-school Bible classes. Nor should this surprise us. As I found in my study of the first decade of Protestant fundamentalism, Bible classes in public schools often attracted irresistible public support during the 1920s. At that time, support usually came from Protestant activists, with opposition from Catholic and Jewish groups. Such religious dissenters often insisted that “non-devotional” study was just a ruse, meant to sneak Protestant religiosity into public education through a back door. Do Burnett and Downey want to sneak religious proselytization into public schools? They say they do not. Merely to understand Shakespeare, for instance, students should be familiar with Bible language and stories. The Bible, the celebrities argue, is a foundational text of our culture. Not including it in public schools means depriving students of basic cultural literacy. Of course, this is the second half of the Bible dilemma. Not only do religious dissenters fear that purportedly non-devotional Bible classes will serve as a cover for proselytization, but dissenters, pluralists, and secularists fear precisely the celebrities’ attitude toward the Bible. Burnett and Downey join the conservative evangelical Protestant tradition on the question of Bibles in public schools. By insisting that the Bible is the cultural equivalent of the US Constitution in government, the periodic table in chemistry, or the road rules in driver’s ed, these Bible-loving celebrities suggest that the Bible is more than just a good book. After all, the Constitution and the periodic table are more than just good things people should know about. They are foundational documents that contain essential truths of government or chemistry. The implication, though the celebrities would likely deny it, is that the Bible is more than just a storehouse of cultural referents. The implication is that the Bible contains the eternal truths young people need. By describing the Bible this way, Burnett and Downey suggest that the Bible is not only important for its cultural information, but also for its religious message. Oppenheimer tells New York Times readers about Mark Chancey’s study of Bible-reading in Texas public schools. For ILYBYGTH readers, there’s not much news there. As we noted here weeks ago, Professor Chancey found lots of Bible evangelism going on in public-school Bible classes in Texas. At the time, we opined that we shouldn’t be too surprised at those findings. I don’t know about you, but I had to look up “pentecostal hairdo” to see if that was a real thing. As usual, turns out I’m the last to know. Thanks to Erika, I now know how to do it myself!